I have a form that has an auto responder. The form has several check boxes that work just fine. I wish they would total up the dollar amounts. I would like the auto response to include just the boxes that are checked on the original form, not show all boxes available including the checked ones. Is this possible? How? In order to achieve what you want, you can just use a Purchase Order payment field instead of those multiple checkboxes. A Purchase Order payment field has the ability to show total price of products selected. Also, it will come up as one single entity on the autoresponder, with only the selected products showing up in the email body. 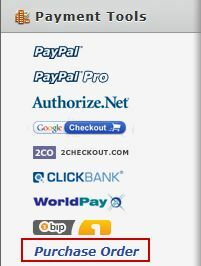 Purchase Order is available under the Payment Tools options. Hope you find this post useful. Thank you for using Jotform.